Good news for Indians and mid-range buyers, Apple soon going to launch it’s mid-range smartphone, Apple iPhone SE. Apple launched, Apple iPhone SE on 21st March Apple Event priced at Rs 30,000. It will go on sale from early April in India. It will give stiff competition to Samsung, Xiaomi and HTC in mid-range market. Apple also launched new iPad and iWatch. The all new Apple iPhone SE supports 4GLTE, Nano SIM, GPS, NFC, Fingerprint identity sensor offers you a 4”-inch Retina HD (diagonal) LED-backlit widescreen Multi‑Touch display with IPS technology, 1334-by-750-pixel resolution at 326 ppi, 1400:1 contrast ratio (typical) for non-stop entertainment from watching movies to playing games. Apple iPhone SE is powered by fastest A9 chip with 64-bit architecture, M9 motion coprocessor with 1GB RAM and 16GB/64GB variant runs on latest iOS9 with iCloud, Siri and iTune assures world class multi-tasking. 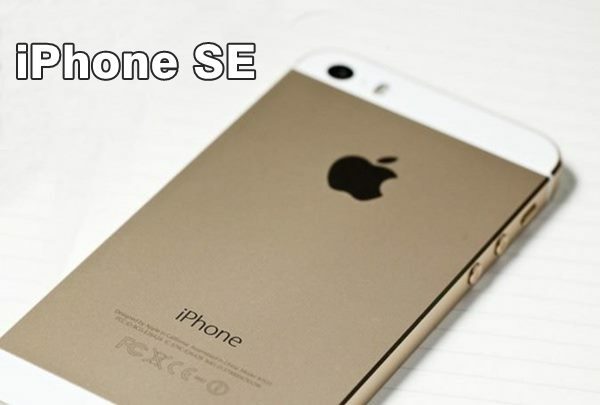 This is not enough new iPhone SE also combines 12-MP rear camera LED flash with 1.5µ pixels, Autofocus with Focus Pixels, ƒ/2.2 aperture with 1080p HD video recording (30 fps or 60 fps) and 1.2-MP front camera with ƒ/2.2 aperture and 720p HD video recording to enhance your photography through smartphone. It also packed with a powerful 1650 mAh Built-in rechargeable lithium-ion battery promising enhance battery life. At last few honest word, the all new new Apple iPhone SE is coming to rock the Indian market but 1GB RAM going to biggest drawback. What you think? Please be open to give your view and stay tuned.